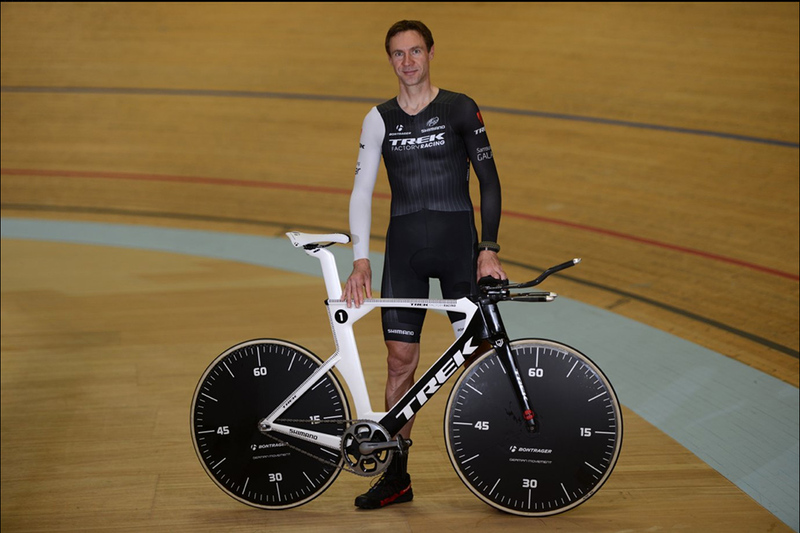 Just six weeks after it was set, Jens Voigt’s Hour record will come under attack tomorrow night (October 30) from Mattias Brändle (IAM Cycling) at the UCI’s own track at the World Cycling Centre at Aigle in Switzerland. At 7pm (CET), the Austrian will set off in the most unforgiving event in cycling. By 8pm, maybe he’ll have joined Fausto Coppi, Eddy Merckx, Miguel Indurain and all the other immortals of the Hour. But it’s no easy task. Voigt’s attempt was the first to follow dramatic changes to the regulations for the event, which introducd the use of modern bikes and riding positions. The German had the relatively easy task of beating a record set using the deliberately antiquated technology of the ‘Athlete’s Hour’. Brandle, on the other hand, has a ‘live’ record to beat, Voigt’s 51.115km, set on modern equipment. Unlike many hour rides, Brändle’s is not the culmination of a long-term project. He says his plans to attack the Hour only came about after he’d watched the Voigt ride. “After he made his successful assault on the Hour, I thought he had fulfilled his dream, and within just a few weeks I surprised myself by starting to have the same dream,” said Brandle last week when he announced the attempt. A lack of preparation is not the only disadvantage that Brandle has to deal with. While Voigt’s ride was also in Switzerland, it was the Velodrome Suisse in Grenchen. Brandle and his team have chosen to make the attempt just a few kilometres down the road in Aigle. 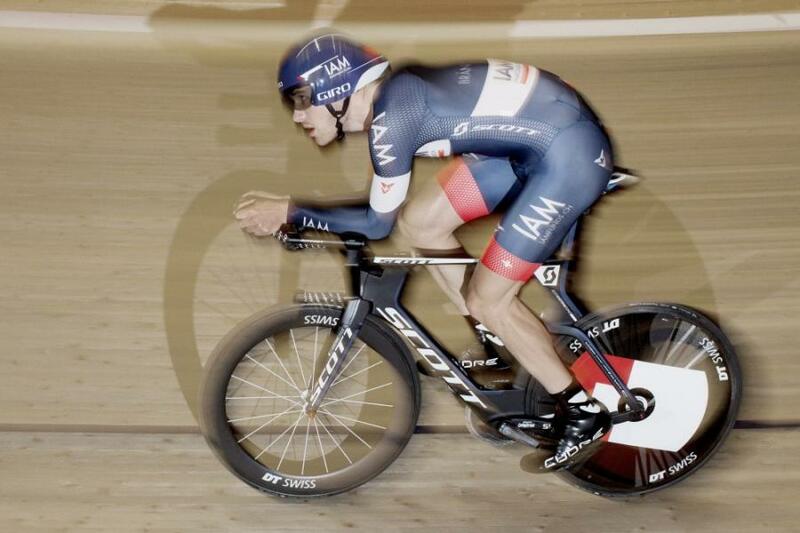 The decision was made because IAM is based in nearby Nyon, and the team says it wants to support cycling in Romandy, the French-speaking part of Switzerland. And of course making the attempt at the UCI’s headquarters will increase the publicity the attempt attracts and all but guarantee the attendance of senior UCI officials. But unlike the Grenchen track, the UCI track isn’t the standard 250m long; it’s only 200m. This means that over the course of an hour, Brändle will be aiming for 256 laps rather than 205, and with that come an extra 102 corners. Corners are the most technically difficult part of an Hour ride. There is the potential to lose distance by taking a poor line, something that is even more of an issue for a relatively inexperienced track rider like Brändle. But perhaps more significant, there are the g-forces to contend with, which push the rider and his bike down onto the track through each curve. These make it harder to maintain a stable aero position on the bike, and mean an hour-long ride on a velodrome is considerably more fatiguing and uncomfortable than it would be, even using the same bike and position, on the road. And of course on a smaller track, not only do the corners come about more often, they’re a little more pronounced. The other potential issue is a question mark over Brändle’s time-trial form – while he’s the current Austrian champion in the discipline, he could only manage 35th at the World Championship time-trial in Spain five weeks ago, over three-and-a-half minutes down on winner Sir Bradley Wiggins (Team Sky). But, like others planning Hour attempts over the next few months, he may feel that if he’s ever to get his hands on the record, it has to be now, before riders like Wiggins turn their attention to the record next year.